Ladies and Gentlemen I know the traditional character a vs character b Verses poll are not popular as some of my other poll formats like best costume or best logo. Unfortunely I had a rather rough week this past week and was unable to put together one of those polls so this week I ask. 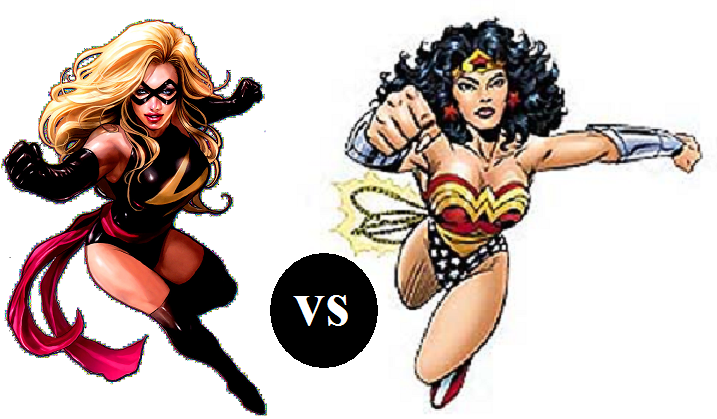 "Who wins in a battle between Ms Marvel, and Wonder Woman"? Very evenly matched. Both superstrong, flying, tactically minded combatants. I went for Ms Marvel, since she’s got force blasts too. Anyway, physically, the two match up fairly well with each other, but that experience and combat training gap is the decider. Rogue pwned Ms. Marvel…so I went with the Amazon. 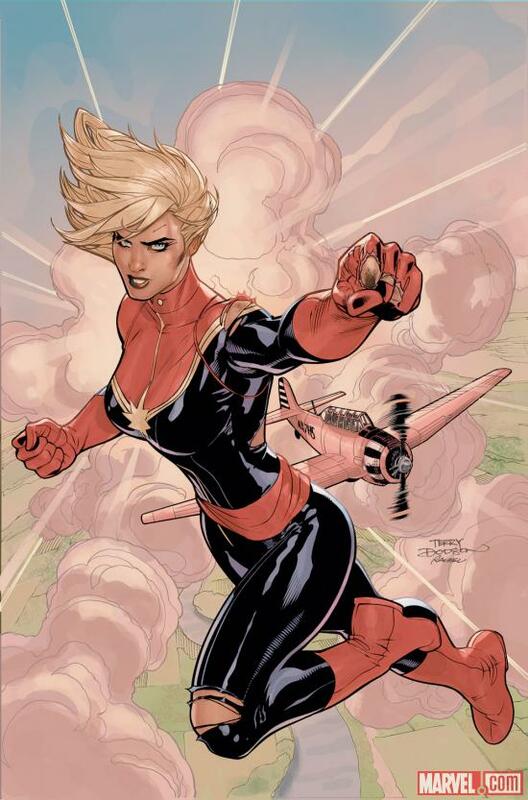 I don’t deny Princess Diana is a tough lady but IMHO, Carol Danvers is waayyy more badass. She was a regular with the Avengers back when the crew included Iron Man, the Vision, Beast, Tigra, and Captain America. ‘Nuff said. Diana is godlike, yet along the lines of Marvel’s Thor and Hercules. Buuut, I say Carol would win by an underdog cheap shot. Any writer hired to make such a match happen would totally do that because Wonder Woman is obviously the winner from the outset, yet it just wouldn’t end up that way, now would it? How about a vote on Batman versus Galactus? Don’t bother? Okay. No matter what anyone might feebly try and argue, Galactus eats Batman along with the rest of Earth, asks for an Andes Creme de Menthe afterward, goes about his planet gobbling way. That’s that. The hell’s that got to do with this Matchup?